Whether you’re looking for your next student accommodation in Liverpool, or you already rent with X1, you’re in the right place! Here at X1 Lettings, we have a range of student accommodation available across Liverpool. Our rooms range from group flats of 3 to 7 people to self-contained luxury studio apartments. Located in either the city centre or the increasingly popular Balitc Area, our student accommodation here in Liverpool offers more than just a bed for the year, but a living experience you wont forget! You will be able to find out more about each of our student properties by clicking on the images below ; this includes finding out who your building manager will be & all of the benefits your next student flat has. If you want an onsite gym or cinema room, be sure to check out X1 Liverool One or X1 The Studios! Looking for Liverpool Student Accommodation to yourself? Not a problem! We realise that a lot of our students may prefer an indepenent student experience & so all of our properties at X1 Liverpool One & X1 The Studios are fully furnished, luxury studio aparments so you can enjoy your own time & space – and be free from a kitchen rota. Our proerties have been selected to ensure that you are never too far away from the hustle & bustle of the city! If you choose to live at X1 The Courtyard, X1 The Studios or X1 The Terrace, you’ll have The Baltic Market on your doorstep! Unsure which site is best for you? Finding your student accommodation can be very stressful and at X1 Lettings, we want to take the weight off your shoulders and help match the perfect property to you. If you’re a group booking, we’d reccommend taking a look at our popular London Road Sites, X1 Arndale House, X1 Borden Court or X1 The Edge! Don’t be afraid to say hello! We’re a friendly team & love to make sure every step of choosing your student accommodation is as stress-free as possible! From your first viewing to collecting your keys, we always encourage you to pop in to the office and see us or give us a phone call. Please call 0151 559 3333 for more information on our range of student accommodation available here in Liverpool or click the images below to take a look around each site! X1 The Studios Account Manager. are happy, along with general maintenance and running of the property. Prior to working here at X1, I studied a Biochemistry degree at The University of Liverpool and have tried my hand at teaching Chemistry. Being a Liverpool girl, I absolutely love this city and hope to give our students the best possible experience during their time here. The X1 team have been amazing and so helpful from the day I started. I look forward to the forthcoming year at X1 with all the challenges it brings and getting to know all new and current tenants. If you are looking for affordable accommodation in a great location, feel free to pop into our office and say hello, I’ll get the kettle on! As Senior Account Manager, I manage three of our student sites based on London Road in Liverpool; X1 Arndale House, X1 The Edge and X1 Borden Court. I oversee all of the operations pre, during and post-booking a room to make sure our tenants experience continued support during their time with X1. This is reflected in the high number of tenants who re-book, spending their university journey with us. My role also plays a big part in landlord retention and ensuring a professional service is provided, making sure our landlords investments are in safe hands. Fun fact: I am a bit obsessed with my two cats …not that fun but thats all I can think of haha. Hi everyone! I’m Manon and I’m senior building manager to X1 The Courtyard and X1 The Terrace! I graduated from LJMU in 2016 with a 2:1 in Business Studies and have spent the past year working in retail management. I’m now looking forward to growing within my role at X1 whilst I study for my Masters in Human Resource Management. Liverpool will always be one of my favourite cites as there’s always so much going on. Having spent a year living as a student at X1 The Edge, I’m so happy to now be working for X1. My favourite part of the role is conducting viewings for all our lovely properties and meeting such a variety of new people. Since joining the X1 team I have felt so welcomed by everyone and I can’t wait to get stuck in! 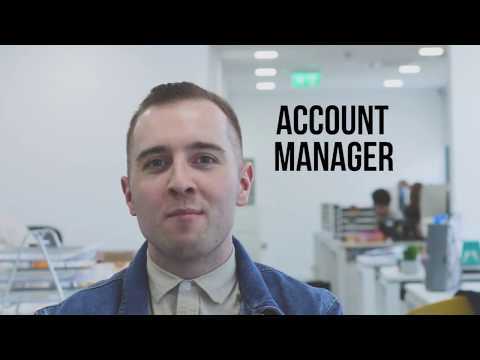 My name is Eoghan and I am the Senior account manager for X1 Liverpool One in Liverpool. I graduated in Summer 2016 with a 2:1 in Business Studies and started working as X1 summer staff the week after. Following that I was one of the lucky team members that was kept on and helped manage X1 Liverpool One and the Residential portfolio. This year I have been relocated to Manchester, where I managed two of our busy Salford Quays sites, before coming back to the Liverpool office. It has been great to been given the opportunity to work in both offices. For me I’ve found my dream job with X1. I’ve found a job in which I enjoy waking up to go to…. and that itself is enough for me! No day is ever the same in X1 which makes it really exciting and the team is amazing so its always good craic! Hi, I’m Alex and I currently assist all Senior Account Managers in the Liverpool office. 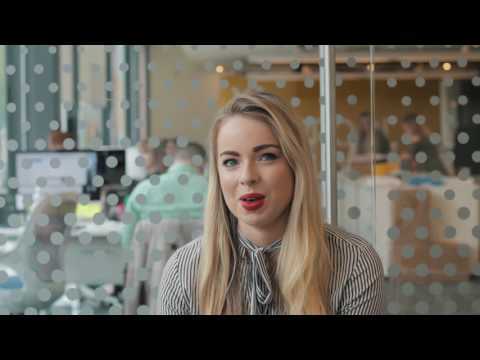 After returning from living in London, I worked for X1 in one of our summer staff roles. I loved the role and especially the people I was working alongside so much that I applied for a full time position at the company; which I was lucky enough to get. I look forward to continuing my career in this ever-growing company!